Laughing Chili brings comedy to Kingston, and puts the fun into fundraising! Come and enjoy 4 acts from the UK comedy circuit, for a fabulous night of laughs. Headliner is the wonderful Stefano Paolini. 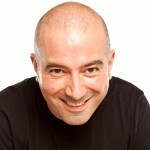 Stefano is a regular face on the national and international comedy circuit, where his mixture of stand-up comedy, characters, impressions and beatboxing has seen him perform across a number of countries. What a glorious headliner we have for May! 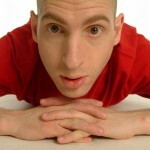 The quick witted, and very inventive Adam Bloom, is well & truly established on the UK comedy circuit, and joins us in May. Popular host Matt Green is MC, and is joined by dry humoured Ben Clover, and self confessed posh boy, Matthew Baylis. Another first for Sunbury, as we bring you two full length fringe previews. These will be two, one hour shows from acts who are taking their shows to various fringes & festivals this year. The first of the shows is 'Cabaret Hour' - a 3 man show, with comedy, magic, impressions, and more! Bought to you by Laughing Chili's own Stu Turner, and friends. From 'Mock the Week' and Absolute Radio, Glenn Moore performs his hour-long show, as the 2nd preview of the evening. With his inventive jokes, and great one-liners, Glenn will have you clutching your sides at his brand of silliness. We are very lucky indeed to have a truly international cabaret act as our headliner this month. 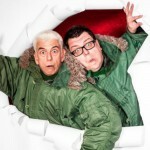 Men In Coats are a unique visual comedy double act combining the arts of comedy, clowning and illusion. They have performed all over the world and on numerous TV shows including “The Royal Variety Show” and “Sunday Night At The Palladium”. Award winning James Alderson is your MC for the night. And also joining us are UK based American comic Robyn Perkins, and Tom Ward, who has appeared in various TV specials and been tour support for Joe Lycett. Our second night of full length fringe previews, brings 2 simply fabulous shows to Sunbury. First up we have TV's comedy magician Pete Firman. Described by the Telegraph as 'The new poster-boy for British comedy magic', Pete will be previewing his brand new show - ' Pete Firman & The Amazing TBC', ahead of taking it up to the Edinburgh Fringe for the month of August. 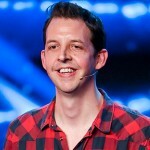 As seen on ‘Tonight at the London Palladium’, 'The John Bishop Show’, and ‘The Sarah Millican Television Programme’, we look forward to bringing Pete's brilliant mix of comedy & magic to Riverside. Following Pete, we have a real treat for Sunbury. You may know him as “comedy legend” Lee Nelson, or as the “unfunny pillock” who gave Theresa May a P45, but you won’t know him as “tiny Jew” Simon Brodkin. After three hugely successful series of Lee Nelson on the BBC, multiple TV appearances ('Live at the Apollo', 'Sunday Night at The Palladium', 'C4’s Comedy Gala'), and several world-famous stunts on the likes of Donald Trump, Kanye West & Sepp Blatter, Simon unveils his funniest persona yet; himself. Laughing Chili returns to Marlow for a second night of fabulous comedy. 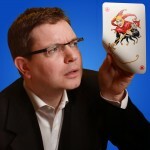 Come and enjoy a top night of laughs at the Liston Hall, with Phil Butler, and his riotous act of visual comedy. From 'Hollyoaks' and 'Casualty', now a well known comic on the circuit, James Redmond is MC; and is joined by the hapless explorer, Jasper Cromwell Jones; with top musical comedy from Rich Morton. Comedian & ventriloquist Phil Reid; mimic Stephen Owen; and comedy magician Stu Turner; come together for an hour of comedy, magic, and impressions. Join the trio as they bring a mix of silliness, baffling magic, and sheer entertainment to Shaftesbury. We can't wait to get this firm favourite back to Sunbury. His antics with Ant & Dec on 'Britain's Got Talent', had the British public in stiches. The fabulous Jonny Awsum returns to Sunbury to headline our July show. Cheeky Tom Holmes is your MC for the night. And also joining us is Jake Lambert with his slick one liners; and observational humour from Rob Coleman. Our third night of full length fringe previews, and kicking off this year's Sunbury Comedy Festival. First up we have a Sunbury regular, James Alderson, with his Edinburgh show, 'Bring Back the 80's'. Join James as he takes a hilarious trip down memory lane, in a double A-sided show, before he gets much older and forgets what actually happened in the 80s! Bring your leg warmers, your shoulder pads and back comb that hair - it’s a show not to be missed, jam packed with nostalgia, music, adverts, props, and much more! Following James, we bring you Scott Bennett. Likeable, with a warm and engaging delivery, he is a Yorkshire live wire with an undeniable no nonsense logic. Scott's show delivers wry observations on the absurdity of modern living, and brings plenty of funny. Laughing Chili returns to the Liston Hall for a night of Autumn comedy. 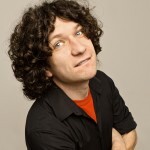 Stand-up comedian, actor, improviser and presenter, Ben Van der Velde, has spread joy and nonsense to all four corners of the British Isles, as well as Estonia, Latvia, Finland and Norway. He will be your MC for the evening, and joined by 3 other acts from the UK circuit. Book now for an early Christmas night out with family or friends. Award-winning, James Alderson draws on his life experiences as a thirty-something man to feed his routines, and is our MC for the evening. Three other acts hand-picked from the comedy circuit will join him, to bring a night of fun & laughter.